As a Jew, I was super excited to go to my first fish fry! 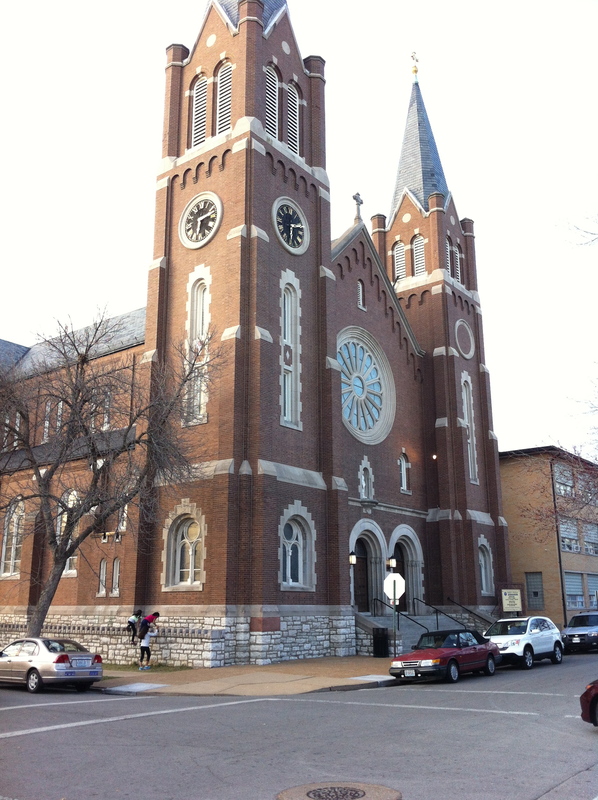 St. Cecilia’s in the Carondelet neighborhood apparently has the best in the city. 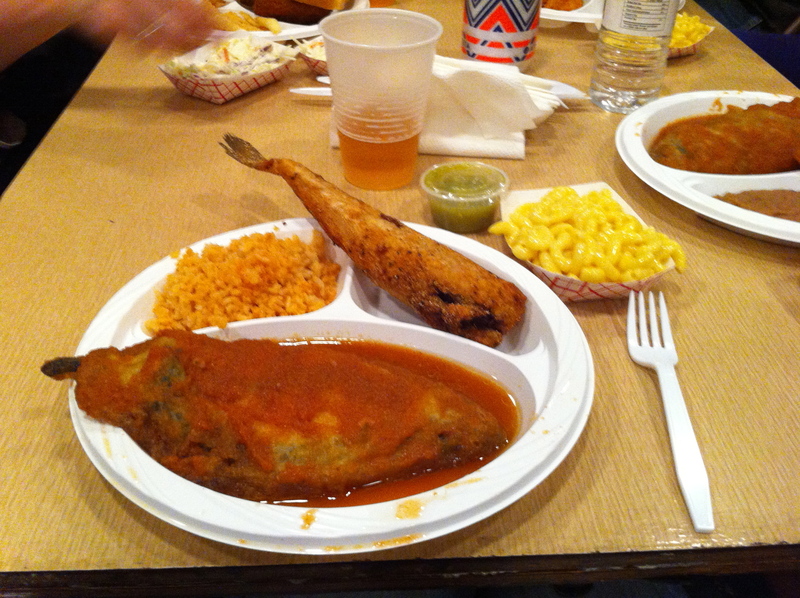 The church is one of the only Hispanic churches in St. Louis and has a Mexican twist on the standard fish fry. 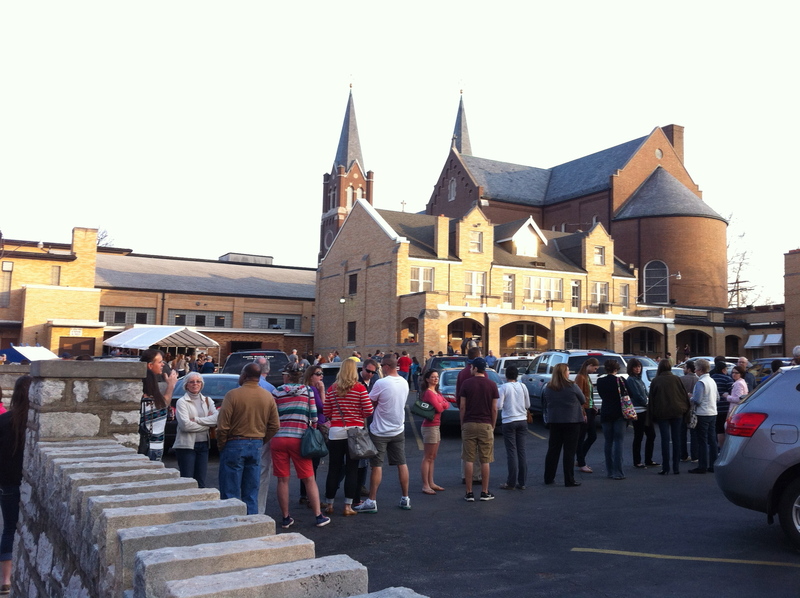 I arrived around 6:30 to see a massive line meandering through the parking lot and out on the street. It was at least 300 yards long. After waiting silently in the line for about 45 minutes, I overheard the lady in front of me saying she was a blogger. Seizing the opportunity, we struck up a conversation about blogging. Peggy and her friend Regi are blogging about the different fish fries in St. Louis. The blog is called Excel “Lent” Adventure and is a really fun read! Because I was traveling alone, Peggy, Regi, and their friends decided to “adopt” me for the evening. We got beers together and even took a fun “family photo” together! After 90 minutes of waiting (apparently this is fairly normal for a fish fry), we finally got our food. I got jack salmon, stuffed poblano chile, rice, and mac & cheese all for $11. Additionally, they also had a tamale cart trolling the line, chips & salsa, Mexican beer, and margaritas. The food was actually very good, although the highlight of the fish fry was the entertainment. Little kids performed Mexican dances while we ate our fish. They were super cute. 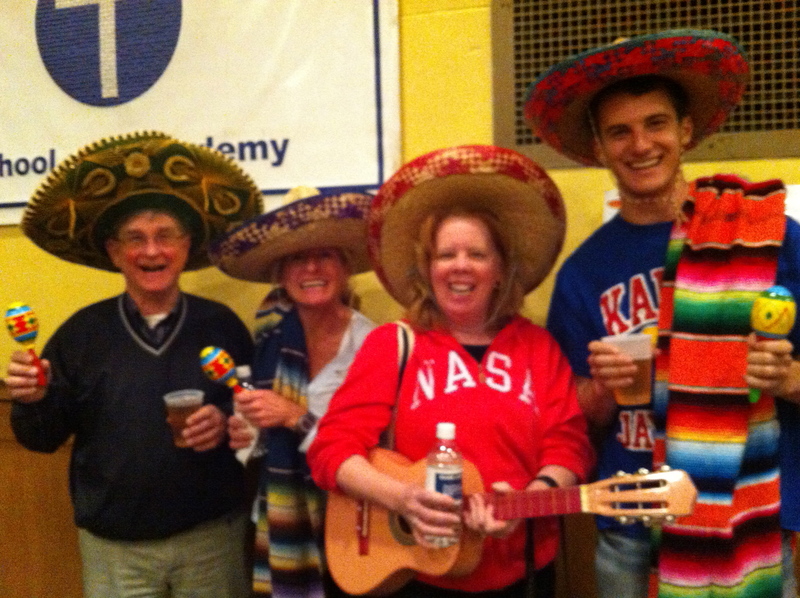 The fish fry was a very fun event and I would certainly do it again even though I am not Catholic. Because St. Louis has such a strong Catholic heritage, I think that the fish fry rightfully deserves to be on the list, as every St. Louisan should go to one.